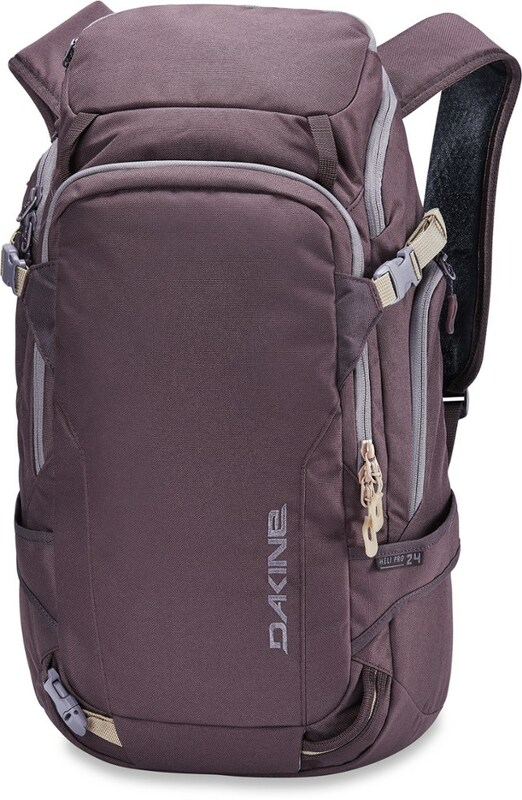 Visit DaKine's Heli Pro 18L page. 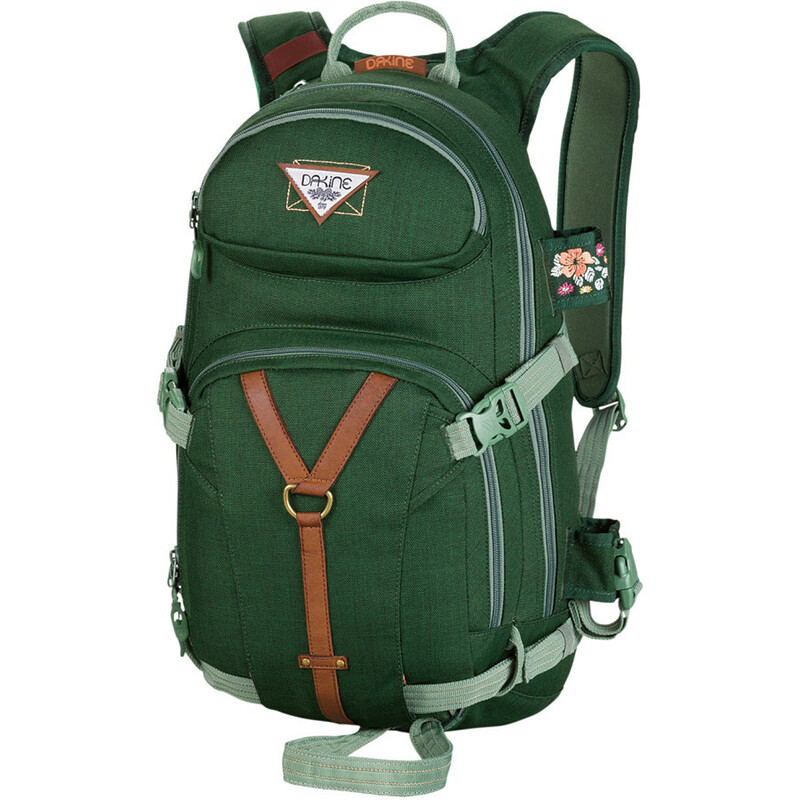 Not content to lug packs that were designed for men into the backcountry, Leanna Pelosi worked with Dakine to create the Women's Leanne Pelosi Team Heli Pro 18L Backpack. 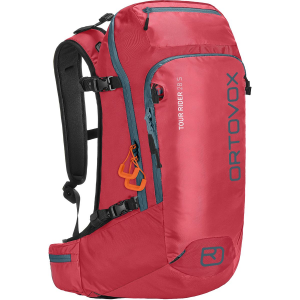 It has the same features as the time-tested men's version, but with a contoured harness that's designed specifically to fit a woman's frame so you can travel the backcountry in comfort. External shovel handle loops keep your avy gear close at hand, while a fleece-lined goggle pocket prevents your lens from getting scratched on the skin up. If you decide to bootpack it, a diagonal ski carry and vertical snowboard carry hold your shred sticks of choice. 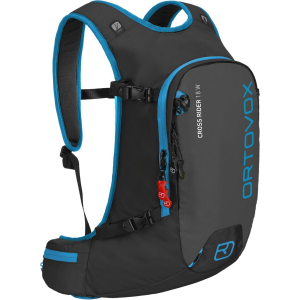 It's also hydration compatible, features an organizer pocket for smaller essentials, and has a padded waist belt and sternum strap to keep it from bouncing around when you're shredding down. A laptop sleeve holds a 14-inch laptop for school days. 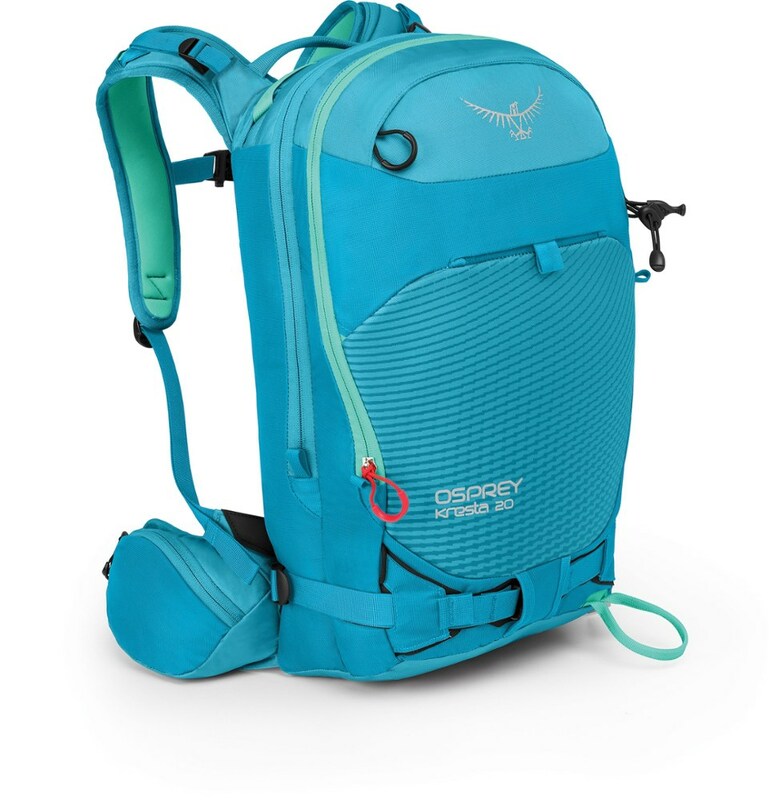 With its women-specific fit, the Heli-Pro 18-liter snow pack lets you comfortably carry a board or skis, goggles and hydration for the mountain, and a laptop and books during the week. CLOSEOUTS . Ladies, gear up for a day on the mountain with DaKine's Heli Pro snowsport backpack, equipped with a women-specific contoured harness, methods for ski and snowboard carry, and a quick-draw ice axe sleeve. Available Colors: BLACK DECO, CHEETAH, PLUSH PLAID, LACE FLORAL, CHERRY, LUNA, TARTAN, DYLON, FLOURISH, OPAL, VIENNA, BLKRIPSTOP, BLUFLOWERS, SALIMA. 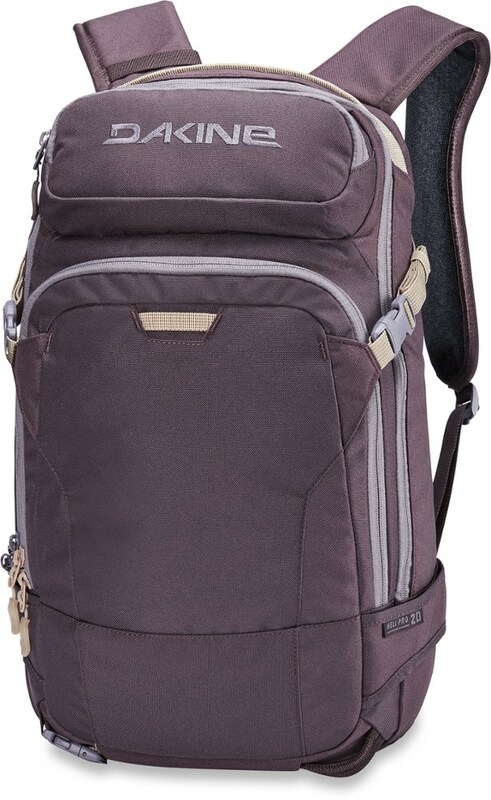 The DaKine Heli Pro 18L is not available from the stores we monitor. It was last seen January 9, 2018	at Backcountry.com.